Reginald Murray (R.M.) Williams AO CMG. 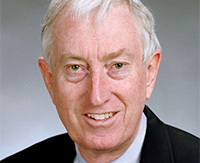 Professor Peter Doherty AC is an advocate for biomedical research, science and education. With a degree in Veterinary Science and PhD in Pathology, Peter is an accomplished veterinarian. At the John Curtin School of Medical Research in Canberra, Peter worked on the nature of the cellular immune defence. For this work he was jointly awarded the 1996 Nobel Prize for Physiology and Medicine. Photo credit: Conrad Del Villar. 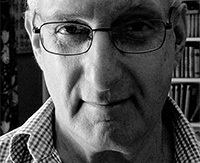 David Malouf AO is a multi-award winning author and internationally recognised as one of the world’s finest and most versatile contemporary writers. Since his first collection of poetry in 1962, he has also published novels, short stories, opera libretti and a play. Some of his novels include Johnno, An Imaginary Life, The Great World, Remembering Babylon and Antipodes, a collection of stories. David has been awarded the Commonwealth Writers’ Prize, the IMPAC Dublin Literary Award, and the Queensland and Victorian Premier’s Literary Awards, as well as being shortlisted for the Booker Prize. 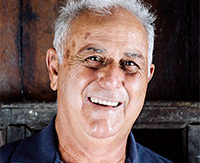 Angelo Puglisi is one of Australia’s most respected vignerons. Angelo oversees most of the operations of Ballandean Estate and is ultimately responsible for all vineyard processes. Angelo is a former Churchill Fellowship Scholar who undertook training in winemaking and grape growing in Europe. 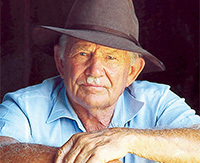 He has become a member of the Queensland Hall of Fame (Queensland wine industry) and won many awards for his contribution to the wine industry. 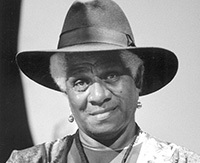 The late Dr Evelyn Scott AO was an Aboriginal advocate who had a long and distinguished involvement with the Indigenous community spanning more than 30 years. Evelyn campaigned for Aboriginal and Torres Strait Islander rights at both state and national levels and also played a key role in establishing Aboriginal legal services, housing societies and medical services throughout Queensland. The late R.M. Williams AO CMG was the manufacturer of reliable bush gear and clothing that is now recognised as typically Australian. Author and patron of poets, painters and handcrafters, R.M. was largely responsible for the resurgence of whipmaking in Australia. As a keen horseman, R.M. founded monthly magazine, Hoofs and Horns, and was the driving force behind the Australian Stockman’s Hall of Fame at Longreach. He also helped construct the attraction’s first building, being an accomplished stonemason and bricklayer.